On Monday, May 7, more than 6,000 developers from more than 70 countries descended on the Washington State Convention Center in Seattle, Washington, for Microsoft Build. From experienced coders to eight-year-old prodigies, the attendees were united by a passion for building apps for the intelligent cloud. To catch up on sessions you missed, check out the on-demand content. CEO Satya Nadella kicked things off by talking about how the intelligent cloud will revolutionize every aspect of our lives. 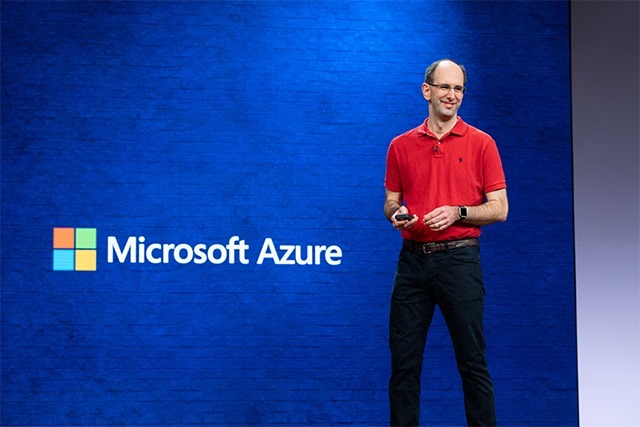 Alongside Executive Vice President for Cloud and Enterprise Group Scott Guthrie and Corporate Vice President for Windows Joe Belfiore, Nadella showed developers how they can use Microsoft Azure and Microsoft 365 to create transformational multisense and multidevice experiences. In one keynote demonstration, attendees got to see how an audio-video device using Microsoft 365 and AI services could transform a common business meeting. Through the use of facial recognition, each attendee was greeted by name as they entered the room. The device even transcribed their speech in real-time, automatically assigning the text to the right speaker. Power BI was used to visualize data. Cortana, together with Microsoft Graph, created a summary of action items, automatically attaching the files that were mentioned. Attendees flocked to breakout sessions, workshops, and demos to learn skills that could enrich and advance their careers, honing their expertise in the hands-on labs and instructor-led workshops. And for anyone looking to be wowed by the latest tech, the exhibit hall was the place to be. Developers experienced HoloLens, programmed their own AI-powered drones, and explored cutting-edge IoT solutions amid myriad other activities and ideas. 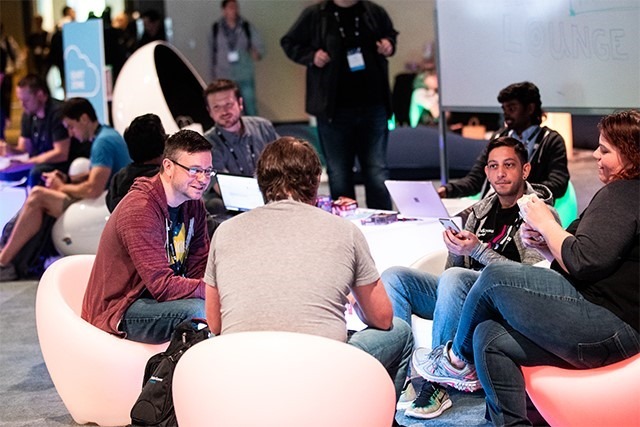 From API gateways to XAML, Microsoft Build featured all the innovative tools, platforms, and products developers need to create groundbreaking cloud-based solutions. There were tons of opportunities to dive deep into technologies like Azure Containers, Power BI, and Cognitive Services then discuss concepts with the Microsoft engineers behind these products and platforms. Of all the announcements made at the event, one of the most popular was the news that developers will now get to keep up to 95 percent of the revenue for apps sold in the Microsoft Store. It was another reason why the audience left the event excited by the opportunities presented by the intelligent cloud. Inspiration wasn’t confined to the breakouts. Lively debates and brainstorms reverberated throughout the halls as developers traded tips, proposed real-world “what-if” scenarios, and challenged one another. It proved that attending Microsoft Build is just the beginning. The innovative solutions that arise from ideas sparked there are the true goal. An attendee celebration at Seattle Center capped the camaraderie of the conference with superheroes and superstars at MoPOP, sculptures of blown glass at Chihuly Garden and Glass, silent discoes, and savvy gamers. The Microsoft cloud has the potential to transform lives on a huge scale. That power comes with an obligation. As Nadella reminded us in his keynote, “We have the responsibility to ensure that these technologies are empowering everyone.” Developers like you will make that vision a reality, so thank you for making Microsoft Build a fun, successful event. We’ll see you again next year—and while you’re waiting, check out the on-demand content to catch any sessions you may have missed!